This week on FYI Philly, it's our wedding spectacular! We'll take you to some of the most unique wedding venues across the Delaware Valley. Plus, ideas for fashion and jewelry to take your look to the next level when you walk down the aisle. Learn about some interesting trends about elopement and grooming parties for the guys. "Front & Palmer" was named one of the top wedding destinations in the country and it's here in Philly. 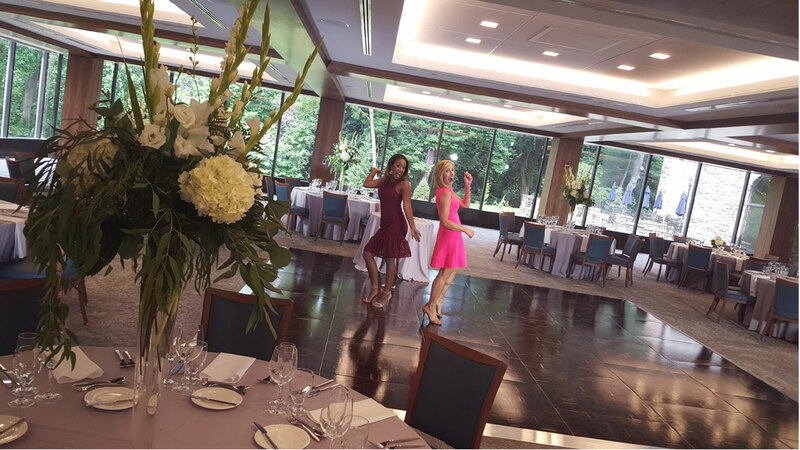 Jeanette Reyes visits Front and Palmer, one of Bride Magazine's 50 best wedding venues in the country. If you're looking for a outside-the-box place to tie the knot we have some ideas. A prison. An aquarium and a ballpark. Alicia Vitarelli takes us to six exquisite locations around the region that promise to take your wedding to the next level. We found a trend that's becoming more conventional...Eloping. As wedding prices soar, so does the number of couples looking for a way to avoid the high-cost nuptials. Karen Rogers explores the growing trend of elopement and located a couple spots that offer a trendy location to tie the knot. Melissa Magee shows us a couple cools spots to gather your closest friends and celebrate the final bash before going to the altar. The bachelor and bachelorette parties are considered the last hurrah before the big day. Melissa Magee shows us a couple cools spots to gather your closest friends and celebrate the final bash before going to the altar. Women are not the only ones who need a little pampering for their wedding day. Women are not the only ones who need a little pampering for their wedding day. Chris Sowers takes a look at a trend that has the guys getting some extra attention before their nuptials. The Van Cleve Wedding Pavilion is the area's one-stop shop for all your wedding day needs! Popular bridal boutique Van Cleve Wedding Pavilion has taken their two separate stores of bridal and formal wear and combined them under one roof. The Van Cleve Wedding Pavilion is the area's one-stop shop for all your wedding day needs! We check out their new space and all the latest trends they're showcasing. Alicia Vitarelli gets the latest trends with one of the area's top jewelers. Jewelry is arguably the most critical part of any wedding. Alicia Vitarelli gets the latest trends with one of the area's top jewelers. This nonprofit business takes wedding flowers normally destined for the dumpster, and re-purposes them by giving them out at nursing homes. Forget Me Knot Flowers is a nonprofit business based in Haddonfield, N.J., that takes wedding flowers normally destined for the dumpster, and re-purposes them by giving them out for free at nursing homes, women's shelters and other special events. It's the 43rd season of Summer Stage a place for young actors to hone their craft. David Murphy shows us how a woman has transformed her farm into a refuge for unwanted animals. Check out FYI Philly on social media. Sign up to receive 6abc Community News in your inbox!